Highest Quality Soft Calf Leather Upper. 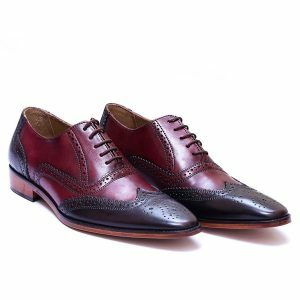 This Black Monk is only for style-conscious gents who value monk shoes to its core, Black cassafo brogue is an awesome hybrid getting colour, design and style all right. The imported Rubber Sole adds value to it. 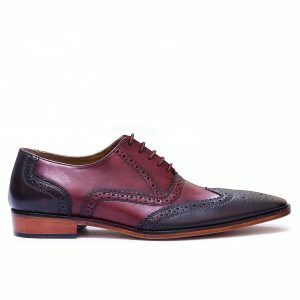 Stick to be on top of style game with Dark Brown Attessy, Classic 5 eyelet Oxfords featuring Imported Solid Rubber sole is nothing but luxury, Soft Cow perforated leather shines bright like a treat to eyes and gift to the feet. Perfect semi-Formal lace-up to own.